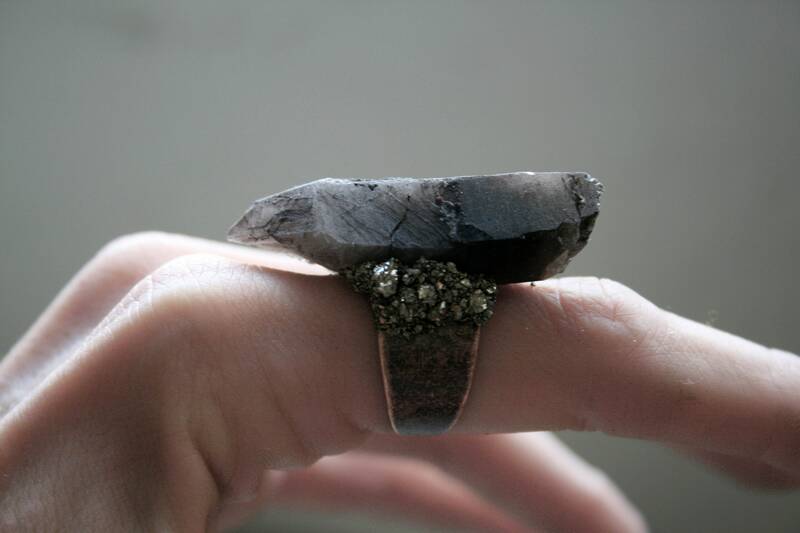 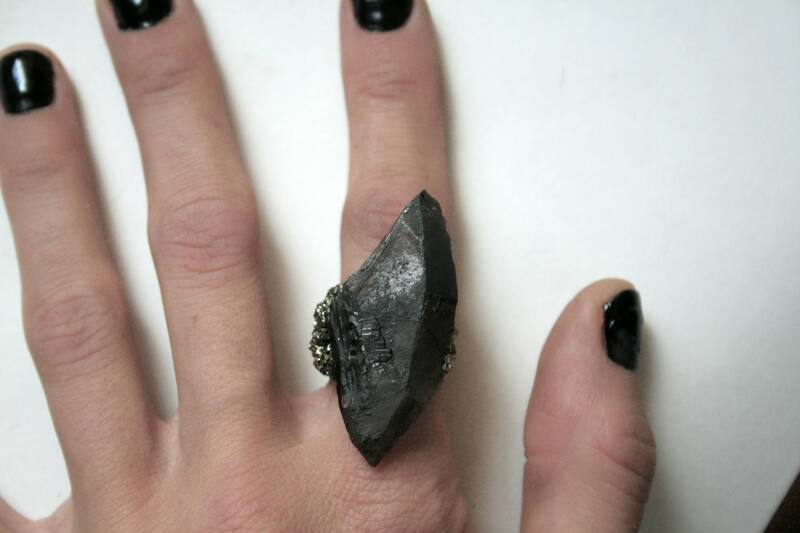 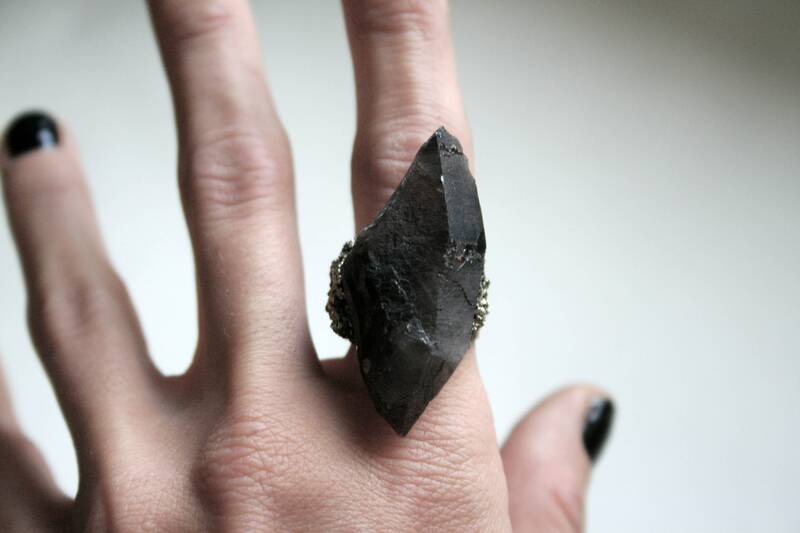 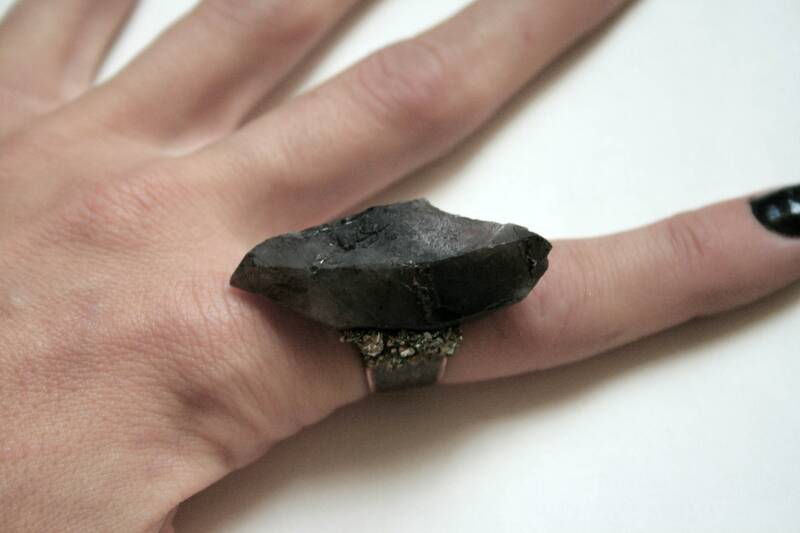 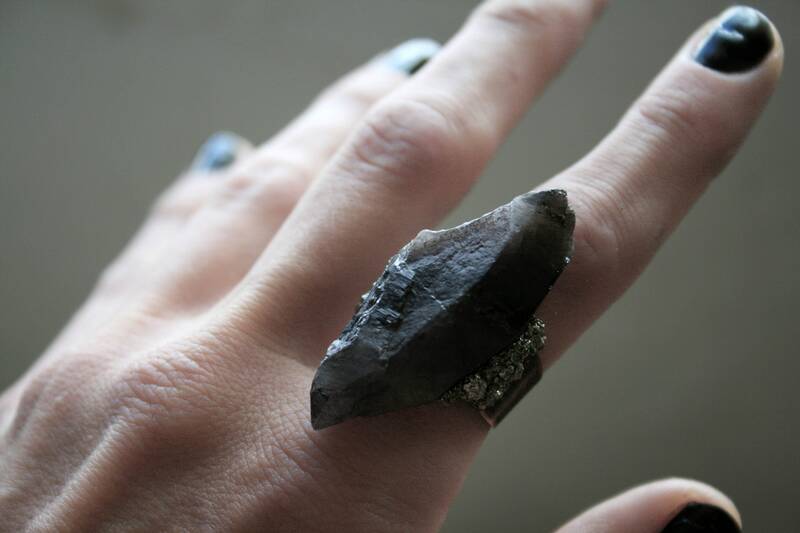 One ring, featuring a large terminated natural rough black smoky quartz crystal, mined in Graham County, Arizona, hugged by crushed pyrite, on an adjustable antique raw copper band. 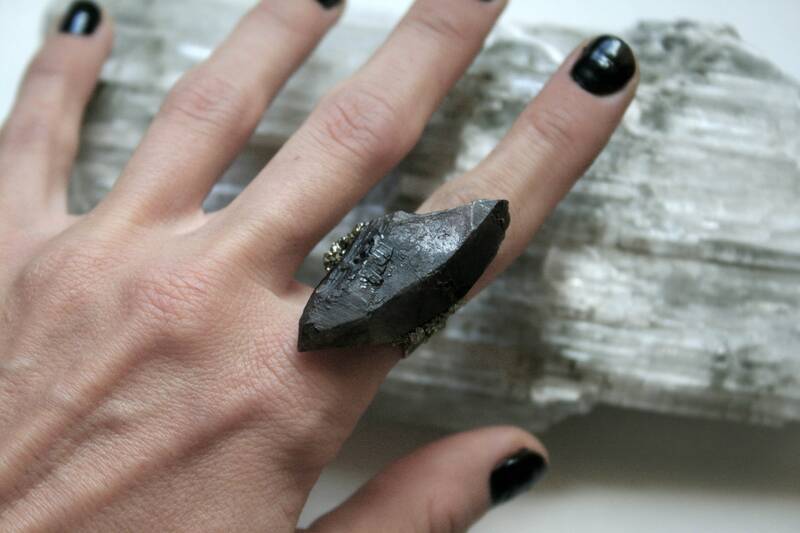 Please note these crystals do have irregular inclusions and shapes as pictured. 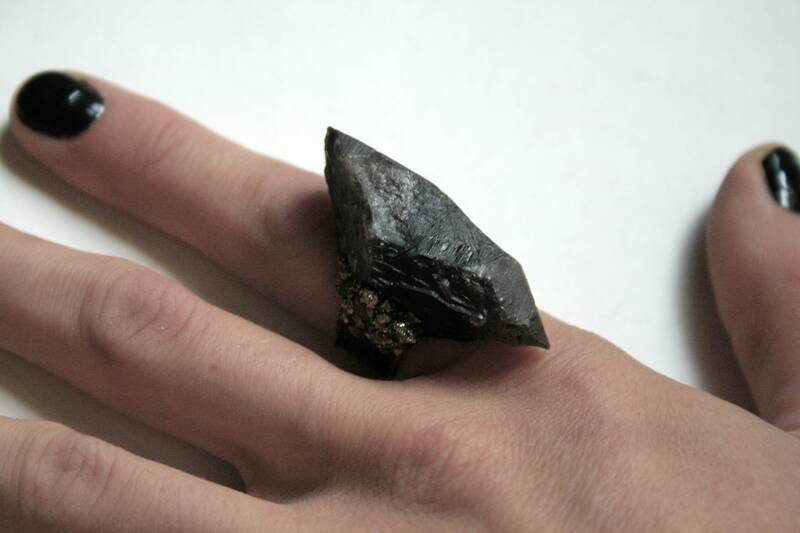 Size, shape, and color varies with all natural stones as pictured.